I tried out America’s Taco Shop’s Melrose location on Seventh Avenue for an afternoon bite after a long day at Butcher Jones Recreation Area. I enjoyed the al pastor tacos’ hint of pineapple mixed with tomato salsa and guacamole. I washed the three tacos down with an ice-cold 32-ounce horchata, but I was left wondering what the Cochata (horchata with coffee) would be like. I plan to try that and more of the America’s Taco Shop menu soon. 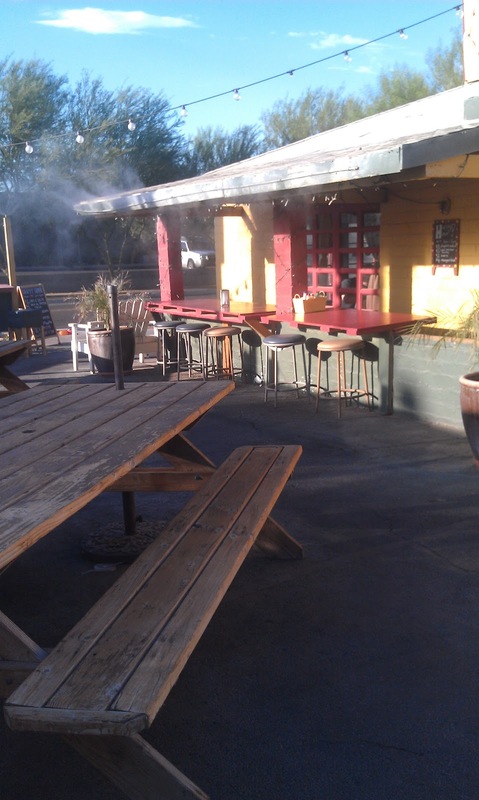 America’s Taco Shop’s patio would be lovely on a cool day.